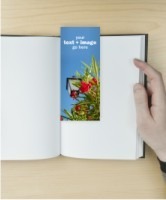 Bookmarks are a great way to remember any event or celebration. Whatever the occasion, we can design a bookmark that is sure to be a great handout. The perennial favourite and one of our biggest sellers. Twelve colour photos with twelve black and white months – spiral bound with your choice of our pre-designed covers, or use one of your own photos instead. For a minimal extra cost, let us add important events like birthdays, anniversaries, and any other special dates. Have a few people you’d like to give your calendar to? Print Plus discounts on orders of multiple calendars. The cadillac of calendars. 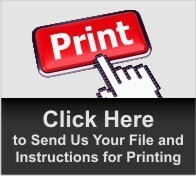 Slick, full colour pictures and months in a folded, stapled format. Pre-drilled for hanging, with your choice of our pre-designed covers, or use one of your own images for a personal touch. For a minimal extra cost, let us add important events like birthdays, anniversaries, and any other special dates. Have a few people you’d like to give your calendar to? Print Plus discounts on orders of multiple calendars. 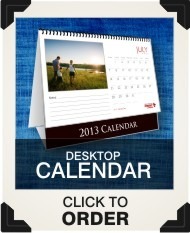 The desktop calendar is extremely popular for the business person on your gift list. 12 full-colour pages and months are spiral bound on a self-supporting stand. Choose from one of our pre-designed covers, or use one of your own photos. For a little extra, we can add in special dates. 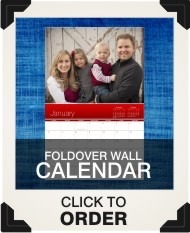 Have a few people you’d like to give your calendar to? Print Plus discounts on orders of multiple calendars. The deluxe desktop calendar is the same as the standard desktop, but the days of the month are listed along the bottom under the picture instead of the larger boxes, allowing for the photo to be much more prominent. Great for a quick reference, it displays your photos with style. Custom key-chains are an excellent, cost-effective way to promote your business, since they are something that we use everyday. They are also a nice keepsake for a friend or family member. Great for birthdays, anniversaries, births, graduations, and more – the opportunities are endless! The perfect gift for anyone! Who doesn’t use the computer? 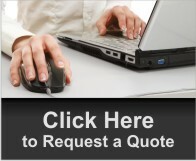 Customize your round or square mousepad with a photo, or even a special message for that special person. 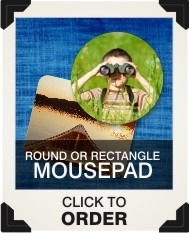 These ¼” thick photo mousepads are great gifts for anything from birthdays to holidays to special events. Photos are a reflection of who we are, where we’ve been and who we’ve been with. But when your photo boxes start overflowing, or you’ve got too many photos stored under the “Do Something With These Someday in the Future When I Have More Time” folder on your computer, bring them over to us – we understand that you’re busy. Allow us to do the work for you by putting your photos into any of our leather cover photo books. 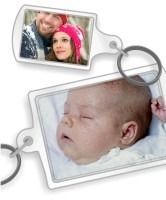 In 4”x6”, 5”x7” and 8”x10” sizes, you’re bound to find the perfect fit for your treasured memories. Available in a variety of sizes – from kids to adults. 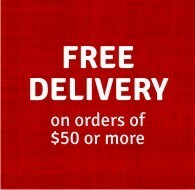 Made of a fine 50/50 cotton and polyester blend for optimum comfort and durability. 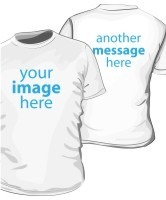 Put your full colour image on the front or the back. For a bit extra, have an image on both sides, and add some text to go along with that perfect picture. T-shirts available in white only.